Quinoa is an ideal side dish: It cooks quickly, is gluten-free, has a mild flavor that lends itself to endless variations and is dense with essential nutrients like fiber and potassium. 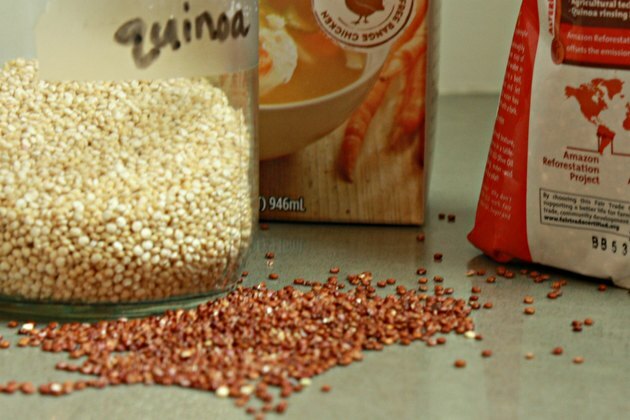 Not technically a cereal grain but the seed of a native South American plant, quinoa contains complete protein, making it a healthy and inexpensive substitute for animal-based protein in your diet. 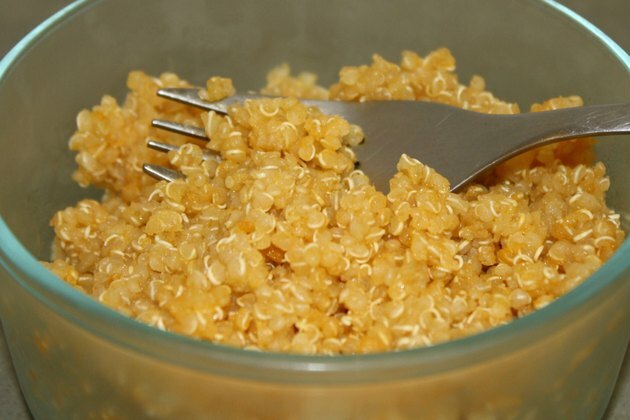 Quinoa is typically prepared in water, though you can use chicken broth instead for added flavor. Choose low- or no-sodium chicken broth to keep your sodium intake per serving under control. Put the quinoa in a strainer placed over the sink. 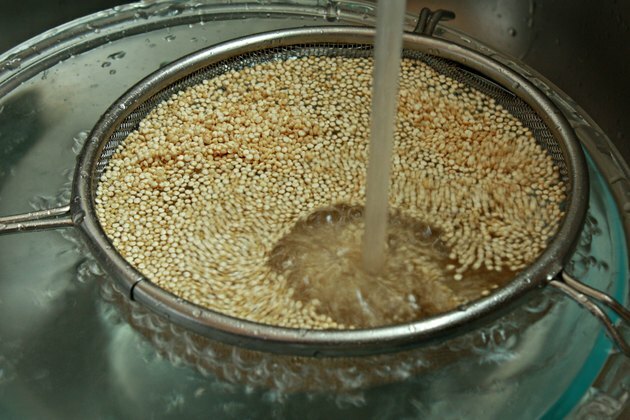 Use cool, running water to rinse the quinoa for approximately two minutes, rubbing and sifting the seeds to ensure that each are washed thoroughly. Allow the quinoa to drain. Heat a saucepan over medium-high heat. Add approximately 1 tablespoon of canola or olive oil for every cup of quinoa and heat. 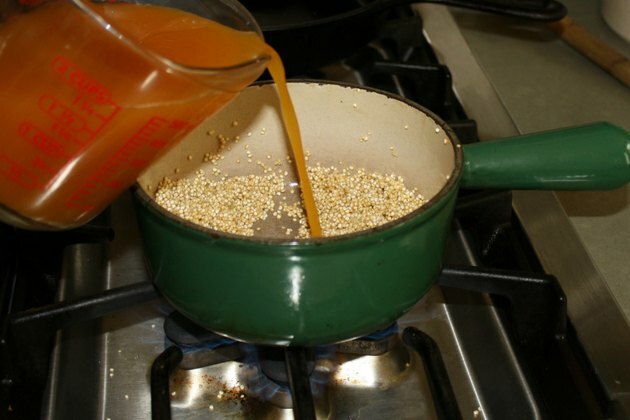 Toast the quinoa in the oil, stirring frequently with a spatula or wooden spoon, until the quinoa is a light golden color, about six to eight minutes. 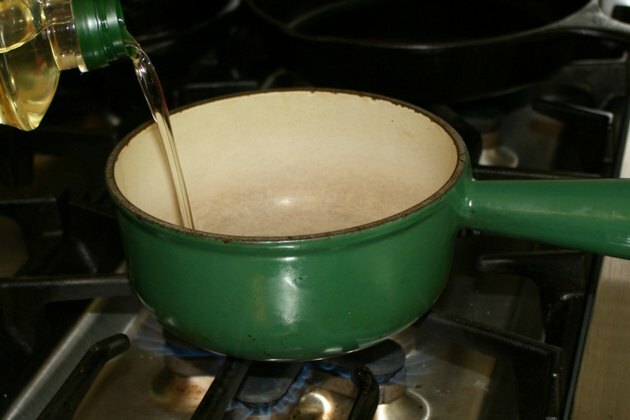 Pour the chicken broth into the saucepan, using 2 cups of broth for every 1 cup of quinoa. Bring the mixture to a boil. 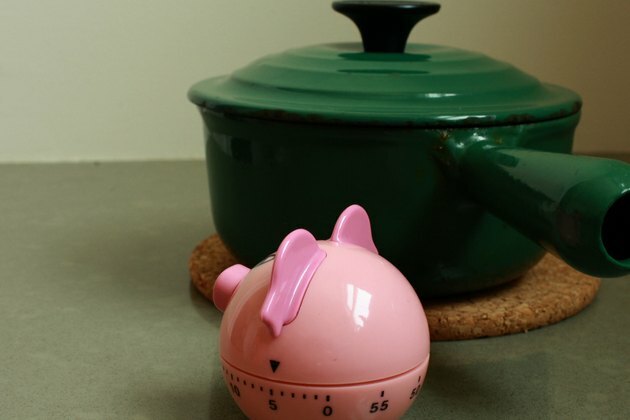 Put the lid in place and decrease the heat to low. Cook for 15 minutes without stirring. 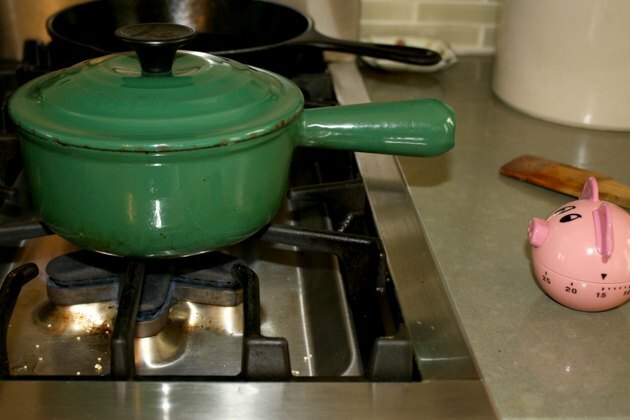 Remove the pan from the heat and let it stand, with the lid still in place, for five minutes. Fluff the individual quinoa seeds gently with a fork to before serving. Plan on 1 cup of dry quinoa yielding 3 cups of cooked quinoa. If you are a vegetarian or vegan, substitute vegetable broth for the chicken broth. Try adding sauteed vegetables, herbs or spices to the quinoa while it is cooking for additional flavor. You can prepare quinoa in a rice cooker. Use the same ratio of quinoa and broth as you would on the stove top. Experiment with red or black quinoa varieties, which are high in the antioxidant phytochemicals known as anthocyanins. Do not skip the rinsing step or you may end up with bitter-tasting quinoa. Quinoa seeds are coated with saponin, a naturally occurring compound that needs to be thoroughly washed off for the best results.